What do Jimmy Hendrix, Bruce Springsteen and Jack White have in common? Music, yes. But more importantly, their Gibsons. And thanks to a little effort on the part of the American guitar company and UK-based photography archivist Dave Brolan, a collection of pictures featuring these stars and their trusty guitars has been doing the rounds in places like London, Berlin, Shanghai, Sydney and now, India. After quick stops in Mumbai and Hyderabad, the exhibition, Gibson Through The Lens, comes to Vivanta by Taj-Connemara on November 18.
a�?Wea��re not sure where next, but the exhibition has been travelling for about five years now,a�? says Brolan over a quick telephonic interview. The curator, who is not travelling with the pictures, says that only 70 photographs were chosen from a�?hundreds,a�? all works of around 30 popular photographers like Baron Wolman, the first chief photographer of Rolling Stone, and Neal Preston, the official photographer for Led Zeppelin, Bruce Springsteen and several other artistes. a�?These have been hand picked from the archives of the photographers. Each is a picture that could be put in a museum or gallery by itself,a�? he shares, pointing out that many of the pictures have a story. 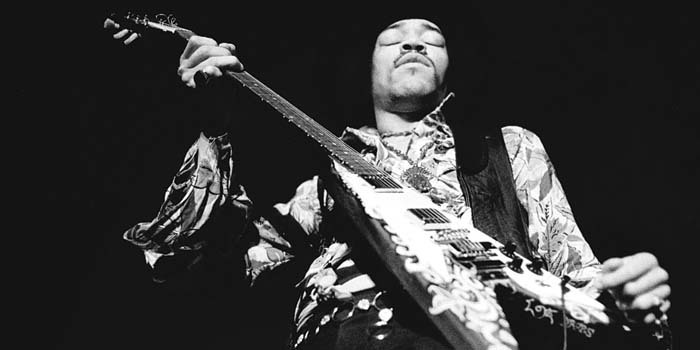 a�?The photograph of Jimmy Hendrix, for example, was unpublished before the exhibition. And therea��s this picture of all the guitars of The Beatles just lying on a bed,a�? he shares. Of course, you will spot a Gibson in each one of these pictures. And you may want to take a closer look because many of the guitars bear some signature of its owner. a�?Hendrixa��s guitar is hand painted by him,a�? he says, citing another example of Jimmy Pagea��s guitar, that if you look closely, youa��ll find has actually been repaired. So will Brolan be adding more pictures to the current list that dates as far back as 1957? a�?We could add to it. But this way, we actually want to show just how timeless these pictures actually are,a�? he concludes.